For some years I have run mpd on an early RPi as a media player, and it has worked very well… better as Raspbian improved in robustness. Playback is controlled mostly from mpdroid on our Android tablets or phones. 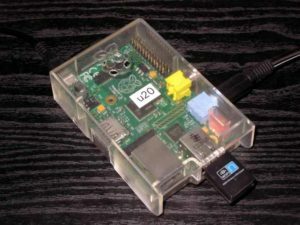 Playlists switches can be automated using cron on the RPi. Whilst using Telstra Bigpond ADSL for broadband access we have been unable to stream Shoutcasts (“Internet Radio”) without frequent stops and starts rendering it unusable. The 8Mb/s broadband service performed so badly it would not sustain near real time traffic at 200kbps. 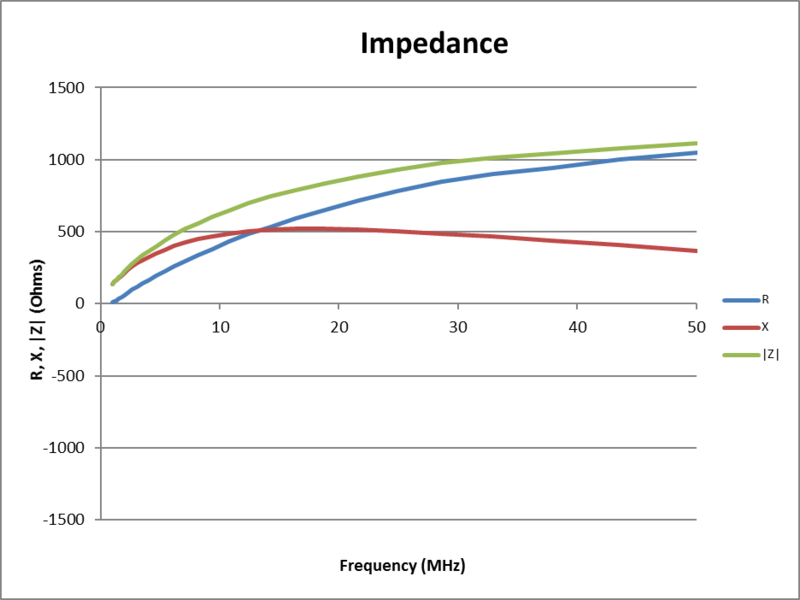 Discussion at A method for design of small broadband RF transformers using medium µ ferrite core for receiving use was around a 9:1 transformer on a BN43-2402 core. 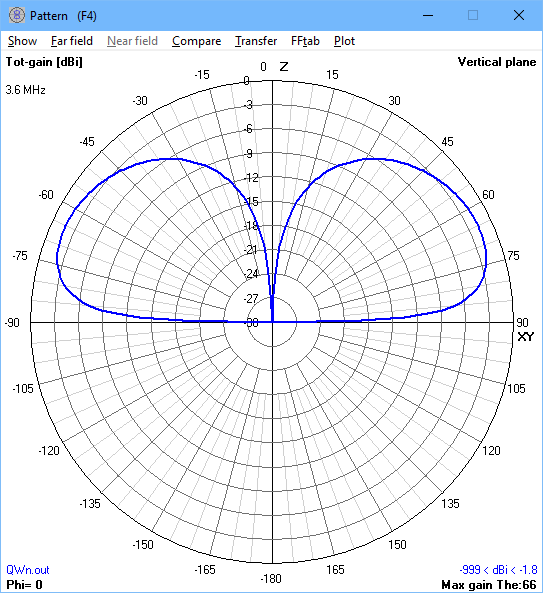 In that design, 4t was proposed as a suitable winding for a nominal 50Ω primary. 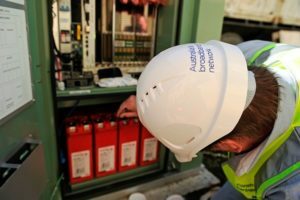 This article describes a 4:1 transformer needed for a project and based on the same 4t primary design, and using a separate 8t secondary. 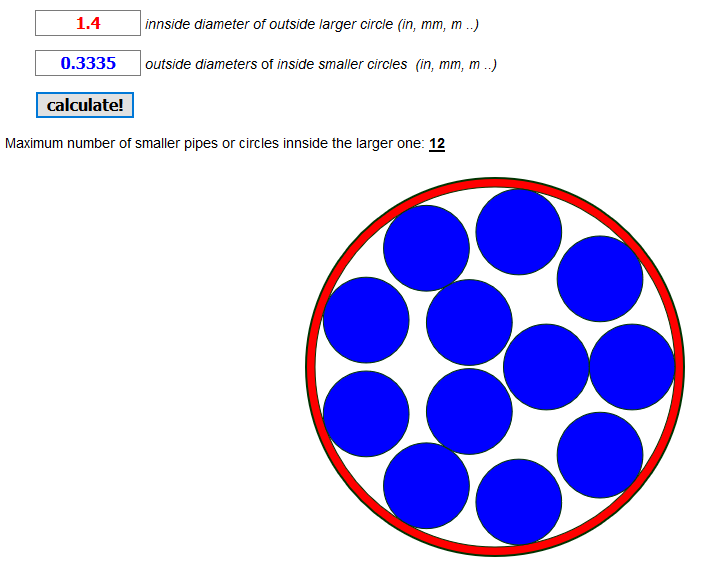 First, lets find the largest wire that will fit 12t in the core aperture. A simplified design for small broadband RF transformers using medium µ ferrite core for receiving use. This article continues with the design discussed at BN43-2402 balun example, but using a 4t primary and 12t secondary for a nominal 1:9 50:450Ω transformer. 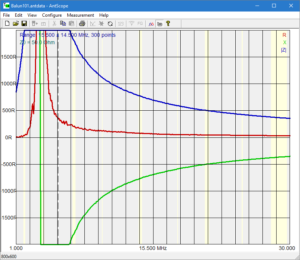 A quick analysis using the method in BN43-2402 balun example hints that a 4t primary is probably good enough down to 1.8MHz, depending on one’s limit for InsertionVSWR. We are not being too fussy here… this is not an application that demands InsertionVSWR < 1.2. 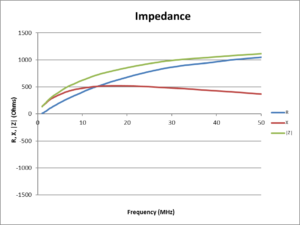 Effective Isotropically Radiated Power (EIRP) is one means of comparing the performance of a transmitting station. The following NEC-4.2 models give some insight. 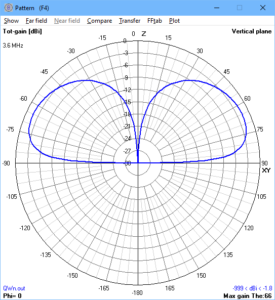 Considered by so many experts to be the benchmark for a grounded monopole, here is a quarter wave vertical with 120 buried radials. Above, 120 buried radials: GAIN=-1.8dBi, radiation efficiency=20.7%. 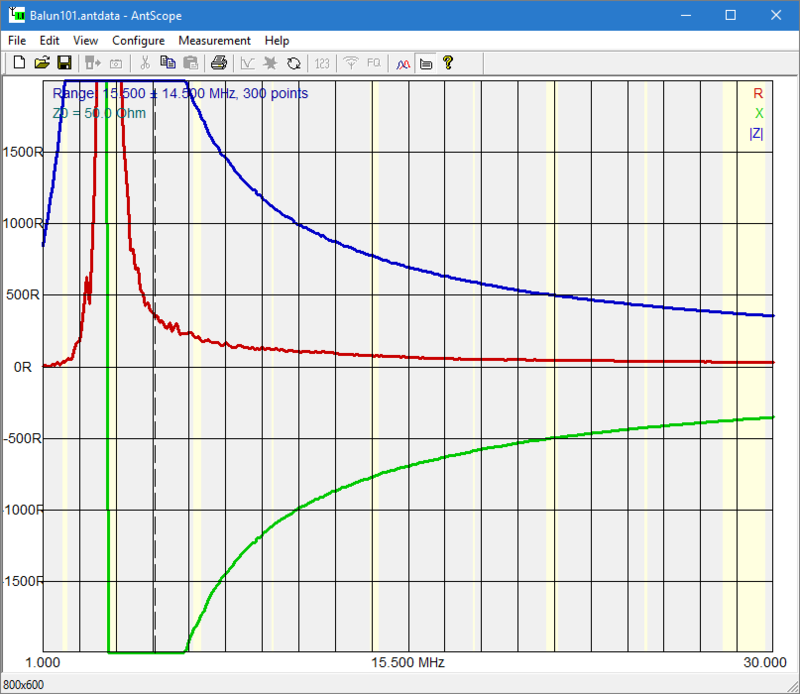 It seems a new version of Rigexpert Antscope has been released, and it maintains the scale limits available for R,X plots to +/-2000Ω, it still does not allow the range permitted by v4.2.57 (+/-5000Ω). No change details provided by Rigexpert. 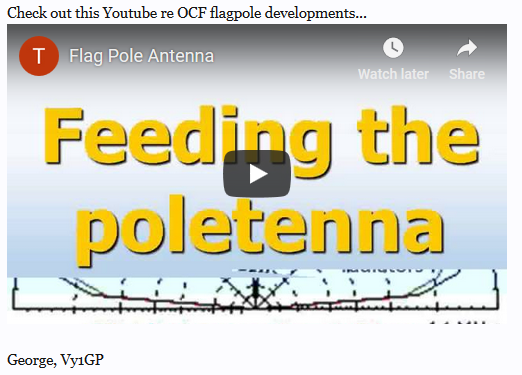 I wrote at OCF short vertical dipole for HF that some authors and some sellers wrote descriptions that might entice would be implementors. George, VY1GP, made a really nice video production of his pitch. His Youtube video seems to have been substituted with one by Portune, so I have removed the link. 5V TTL interface GPSs can be had for about $10 on eBay. They are aimed at the RC market and although the GPS chip is a 3.3V chip, they have a 5V regulator on board and level shifters or 5V tolerant IO. 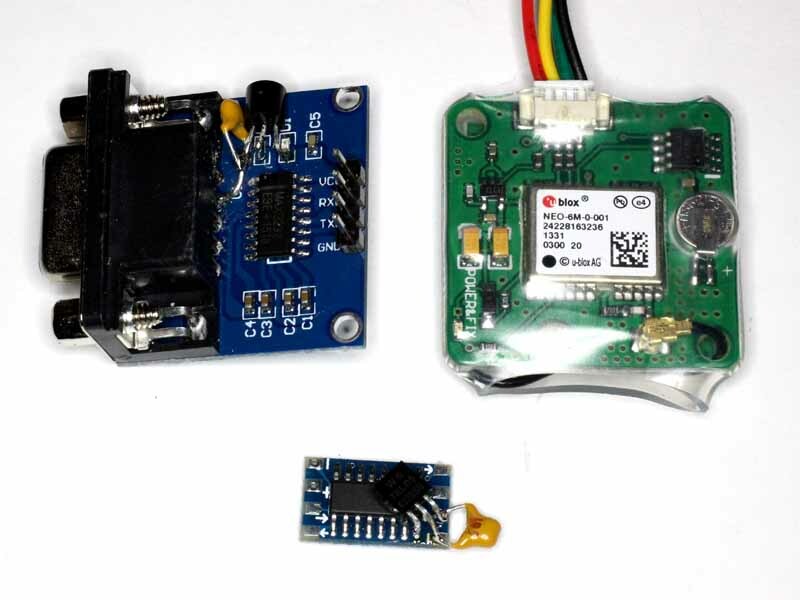 To use them with APRS you usually need to get RS232 output and to support the common 12V feed on the DE9 connector, the RS-232 / TTL adapter needs to incorporate a 12V/5V regulator. This article describes a couple of modules that are available on eBay for a dollar or so, and suitable for modification by adding the regulator. Above left and bottom are two MAX3232 modules that have had a LM78L05 regulator and decoupling cap added to provide for 12V in and 5V to power the MAX3232 and GPS (top right is a Ublox NEO6M). In the case of the lower module, a track has to be cut to disconnect the pad for 12V in from the existing circuitry. 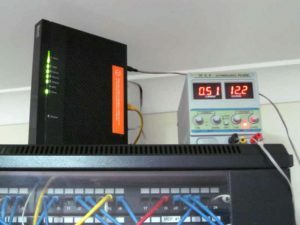 An online poster recently sought to design a broadband 9:1 transformer for HF. Choosing a BN43-2402 balun core, he planned to use a 2t primary and 6t secondary for a nominal 50Ω input. He subsequently posted measurements of the prototype. What might we expect… is it a good starting point.